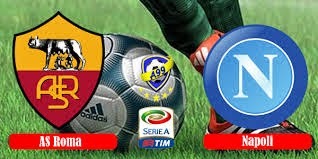 The rivalry between Roma and Napoli continues as both teams well struggling in terms of Serie A performance this season, particularly for Roma as the host is still searching for their first home win in 2015, their last home win was way back in last November and I am sure Roma is up for a challenge to beat their rival! Napoli had Lazio in their Coppa Italia semi-finals 2nd leg to play next Tuesday, but holding an away goal advantage should be no issue for the Naples club to reach to the final again this year, but Rafa Benitez's side had suffered a 3 straight league defeat and slowly drifted off the pace for a race into the champions league qualifying zone with Sampdoria only one point behind them to steal the final Europa League spot too, hence, they have to get something off Roma! Roma successive draws in 2015 was a big question mark of why, they beat Cesena 1-0 last game had at least lifted some relief, last 10 H2H between both sides had no 0-0 result, I am keen to back Over 2.5 goals for this exciting derby game for their fans in Rome!